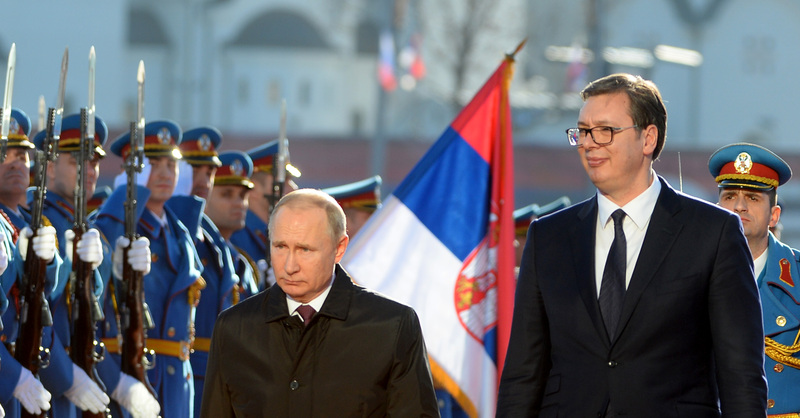 BELGRADE – President of Russia Vladimir Putin visited Serbia yesterday, making his first official trip to the country since 2014 and fourth since coming to power twenty years ago. 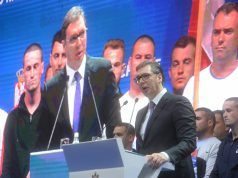 During a several-hour programme, he met with Serbia’s President Aleksandar Vučić and other government officials and discussed mutual cooperation and the process of the normalisation of relations between Kosovo and Serbia. Putin’s popularity in Serbia is among the highest in the Western Balkans, and it is often exploited by the ruling parties, who present themselves as having close ties with the Russian President. On the other hand, Russia is also using its historic and cultural ties with Serbia, as well as the negative sentiment towards NATO present in the country since the 1990s wars, to maintain some influence in the region, which is increasingly turning to Euro-Atlantic integrations. “[Putin’s visit] signals that Russia is engaged. 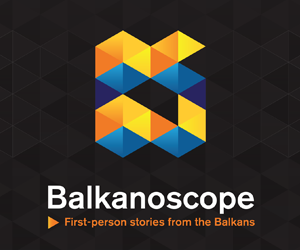 At the time, NATO is making gains – for example in Macedonia. However, the visit might be high on symbolism but short on substance”, assessed Dimitar Bechev, Senior Fellow at the Atlantic Council and BiEPAG member for our portal prior to the visit. True to his prediction, the visit was rich with symbolism. Putin awarded Vučić with the Order of Alexander Nevsky, and they jointly visited both the graveyard of the Russian soldiers who participated in the liberation of Belgrade during the Second World War, and the city’s largest church dedicated to Saint Sava, where they put the final pieces in a new mosaic. The city was ornamented with Russian and Serbian flags, and the visit had been built up by most of the media outlets in the previous several days. The visit of the Russian president has also been used as an informal reaction to the weekly protests against the government that have been going on since the beginning of Decemeber. The ruling party has organasied transport of many of its members from across the country to greet Putin, their numbers were in advance announced to be much larger than the numbers of protesters, and the participants were carrying the banner titled “One of the 300 million” (apparently the combined number of Russians and Serbs, although the joint population of both countries is just over 150 million), an obvious reference to the title of the protests, which is “One of the five million”. During the joint press conference, Putin reflected on the normalisation process between Serbia and Kosovo, emphasising that Russia supports a mutually acceptable solution of Belgrade and Pristina, but based on the UN Resolution 1244, Tanjug reported. According to him, Kosovo’s authorities have recently undertaken provocative actions that have further undermined the regional stability, such as establishing the Armed Forces. “The Resolution 1244 does not allow the existence of any armed formations in Kosovo except for the United Nations contingency. We share the concerns of Serbia, because we know that these steps lead to instability in the Balkans. Our support will continue”, stated Putin. He added that, while Russia has always actively participated in the dialogue, EU is the one who is the mediating. However, he assessed that the Union has little results to show when it comes to this process. Vučić emphasised that he will consult Putin before any solution is reached, but added that he does not expect this to happen anytime soon. “Everybody likes to talk about the solution and like good news, but I am a realistic man and cannot be optimistic when talking about the solution. I don’t see it at the current moment”, he stated. More than twenty agreements and memoranda on cooperation, mostly in the areas of infrastructure, energy and new technologies, have been signed during Putin’s visit, N1 reported. Russia’s President pointed out that the trade of goods between Serbia and Russia has reached the value of two billion Euros, while the procurement of natural gas is also on the rise. He also expects that a free trade deal will be signed between Serbia and Eurasian Economic Union, which consists of Russia, Belarus, Khazakhstan, Kyrgyzstan and Armenia, by the end of the year. Economic cooperation between Serbia and Russia is, however, still dwarfed by the one the former country has with the European Union. Investments from the Union are 14 times larger than the investments from Russia. While the value of Serbian-Russian trade has indeed increased to over 2 billion Euros, value of Serbian trade with the EU is around 11 times larger: almost 25 billion. An EU official stated for Tanjug that Brussels does not comment on the visits of other leaders to the candidate countries, emphasising that EU expects of Serbia to remain committed to its European perspective. “Serbian authorities have identified EU integrations as a strategic priority. We expect from Serbia to stay committed to its obligations, so that the country’s European perspective remains undeterred”, the statement reads. In the wake of the extension of the free trade agreement between Russia and Serbia, the EU reminded that Serbia can sign agreements with other countries and organisations until it becomes its member. “Serbia is obliged to abandon every bilateral trade agreement on the they it enters the EU”, stated the European Commission. It also reminded of the fact that 63% of Serbia’s foreign trade is with the EU countries.